Eagle Fabrication and Repair, Inc. specializes in building, repairing and testing propane delivery vehicles. Located in Oak Harbor in the heart of Ohio’s Vacationland, the business was launched in 1989 by John Bradbury. With fourteen years of experience building and maintaining a fleet of propane delivery vehicles for an individual propane marketer, John decided to offer his services for the general propane industry. Dedicated to providing customers with reliable quality service, the business has grown and expanded over the years. 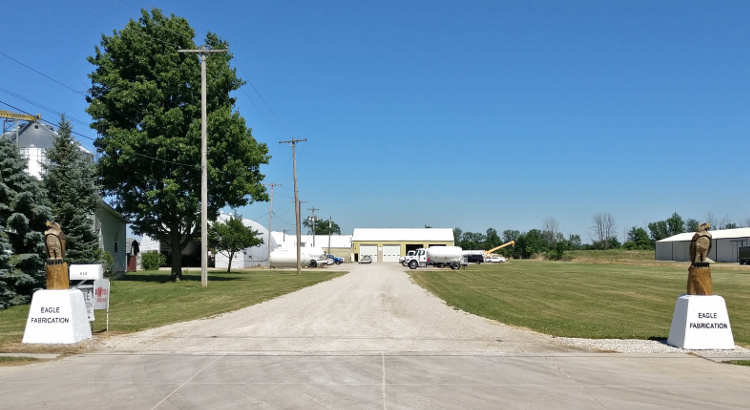 In addition to our facility in Oak Harbor, where we provide all the services you need to build and maintain your fleet, we also offer Mobile Service done conveniently at your own facility. Whether we are fabricating a new or re-chassis delivery vehicle or doing emergency repairs, preventive maintenance or major renovations, you can expect the best in materials and professional workmanship. Let Eagle Fabrication and Repair help you keep your trucks looking and working their best.